The UK is the world’s top country for beaches and beach huts as there are plenty of Beach huts at any beach. The UK is one of my favorite destinations for beaches and France is for museums. In France, too there are beaches and beach huts at some of the exciting places. These are some of my collection of beach huts that I love them. 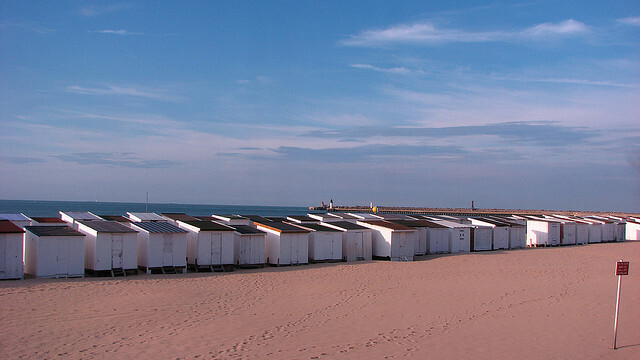 Calais is located in the northern department and also the largest city of pas-de-Calais in France. Calais is a major port and an important centre for trading and transport with England. Calais had great cruises that shall be exciting to watch around the beach and good to travel in these cruises. Around this Calais beach you will discover beach huts with a colorful designs and drawing attention towards these beach huts. Spending at these beach huts is the day for us to remember in life since at the seashore the place is really peaceful environment free pollution free. These all beach huts are made in serial with colorful paints, some of them are built in double rooms or large rooms for the families who want to stay. Chatelaillon-Plage is located in the Charente-Maritime department of south western of France. 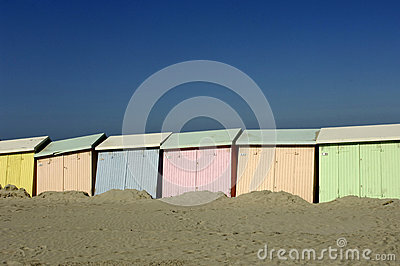 These beach huts are exciting with colorful design and were fixed to wood in a row of 5 huts. These beach huts are lying on the sea sand These beach huts are small comparing to the other areas of beach huts, and they are built for one person only.